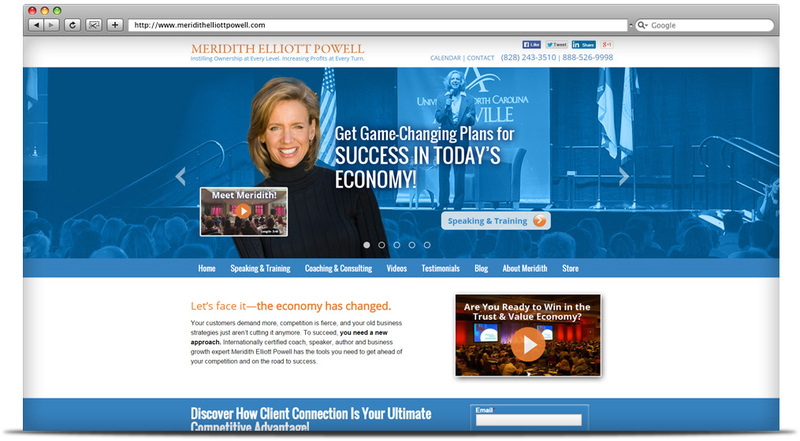 Motivational business speaker and consultant Meridith Elliott Powell helps companies succeed in today’s ever-changing, competitive economy by instilling a culture of ownership and engagement. 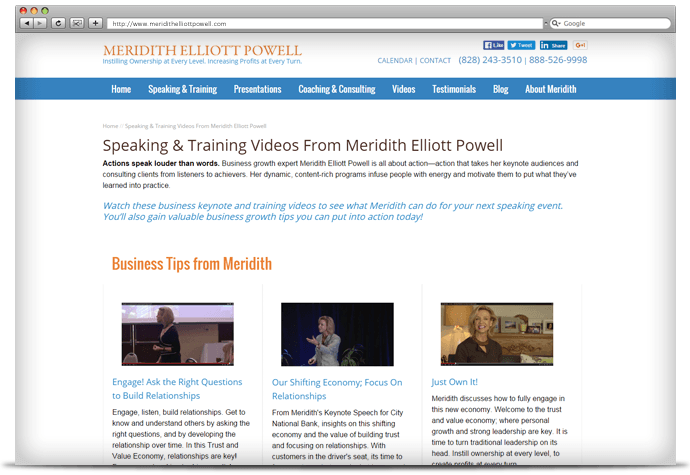 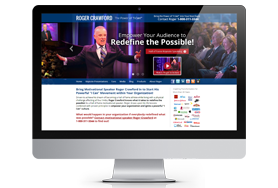 Our first objective on this project was to streamline the navigation to provide easy access to the wide range of services Meridith provides, including keynotes, coaching and strategic planning. 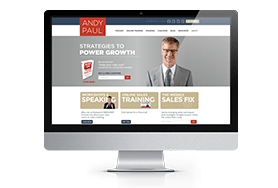 Clear calls-to-action were added to each. 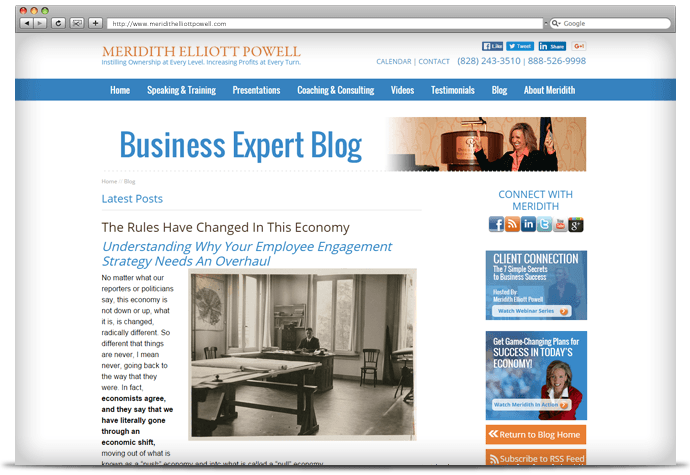 For the design, we wanted to maintain an executive vibe while showcasing more of Meridith’s engaging personality. 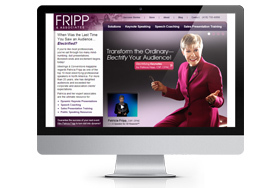 We incorporated video and action photos throughout to communicate her trademark energy.